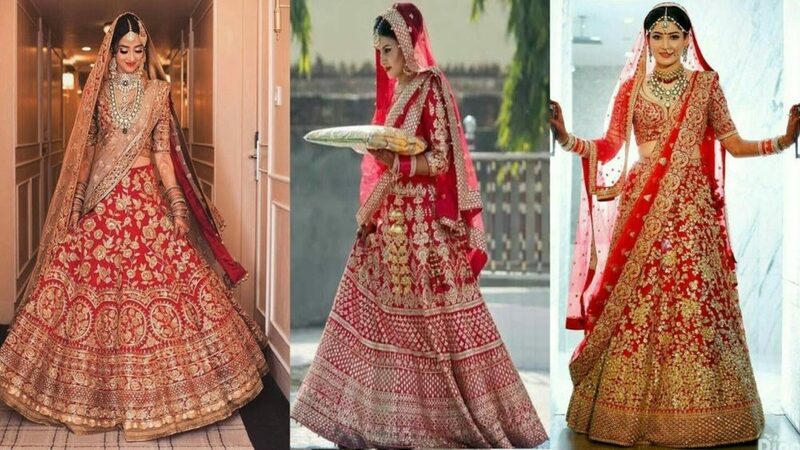 After months and months of searching every nook and corner, both online and in the designer stores nearby, you have finally managed to land your dream bridal lehenga, right?. The dress is done, the accessories are selected, the footwear is matched. Everything else checks that box. But now what do you do? The wedding isn’t for months and you need to take care of the wedding dress that you have. We get so busy with the wedding preparations that caring for the dress becomes a second priority. Something for which we turned worlds tends to become more of responsibility then. So, when it comes to the wedding dress, you need to make sure that you are taking proper care of it. While laundry detergent might not turn up to the best solution ever, you need to make some time in order to take care for the dress that you so adore. So, why not take a minute from the busy lives of yours and read this one out? Let us have a look at some of the tips that will help you in caring for the wedding dress in the long run, even after the wedding is over. Pre-loved or vintage bridal dresses might need some occasional cleaning from time to time in order to make sure that they can be worn one more time. So, check for the hem line, arms, and bodice thoroughly. The last thing that you want is a stain on your beloved dress, right? Also, while the dry cleaners seem to be a pretty good solution for washing the dresses, you need to be extra careful when it is the wedding dress that we are talking about. We would recommend that you go for a wedding dress specialist. These laundry specialists have an idea about materials, structures of the dresses and the special detergents that can be used for cleaning off the stains. For those who want to keep their bridal lehengas and sarees for a longer period of time, this one is a must. Proper cleaning and preserving is essential when it comes to the wedding dresses and you need to do it correctly. Although some might think that they can do it themselves or maybe they just have a budget pulling them backward, but using any detergent on the dresses can actually mess up the whole charm. Surely, you wouldn’t want to take a risk like that, right? So, why not hire a specialist and be free of any worries? Who knows, you might even get a discount. One more pro tip, you need to choose the perfect packaging material in order to keep the dresses safe. Well, if you have a wedding lehenga that is white and you don’t store it properly, chances are that it might turn yellow in the long run. Vacuumed plastic garment bags are the absolute worst for sure. These bags tend to trap the moisture and emit harmful fumes as well. This can damage the quality and the appeal of the dress. Instead of opting for these options, you need to have breathable and clean cotton bags. Muslin bags are also a very good idea. Fully wrap the lehenga that you have and it will be as good as brand new the day you open it again. You don’t just throw your wedding dress anywhere, do you? 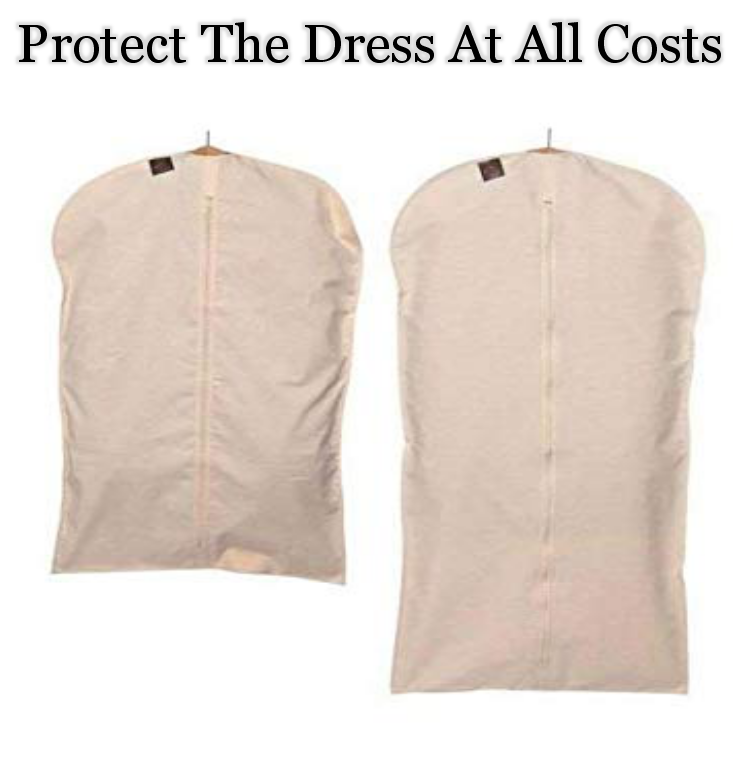 How you store the dress is totally dependent on the fabric and the style of the dress. The synthetic lehengas that are lighter and plainer don’t need much care as they can be easily stored in the wardrobe of your closet. However, the heavier options might need some storage space so that you can store them in a flat manner. If not, then the dress has the risk of sagging and you don’t want that to happen with your dress, do you? For hanging the gown in the wardrobe, we would recommend using the inner loops that are present in the dress. If you hand the dress by itself, then the portion when there is more pressure can tear off. 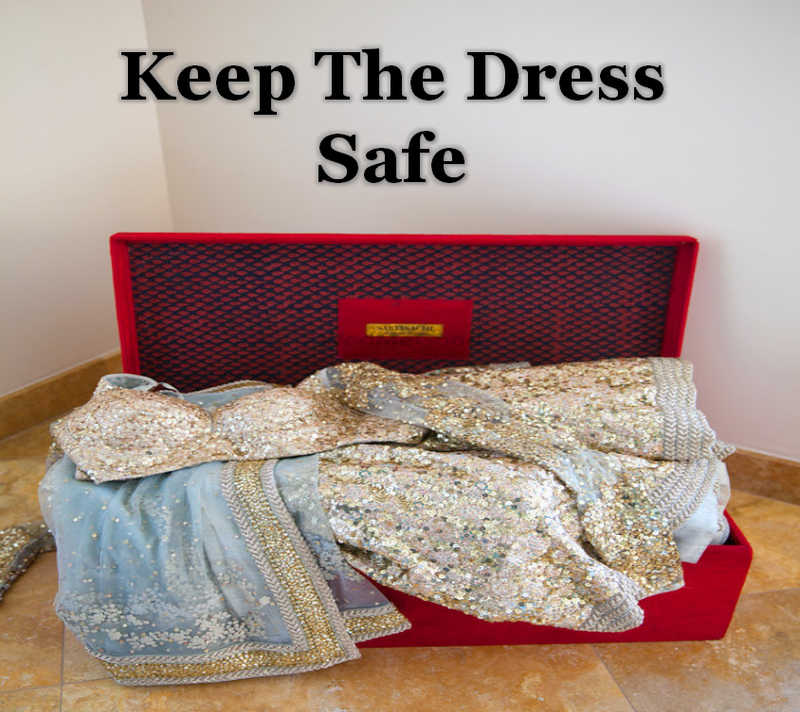 Keep the dress stored safe and you will see the results for sure. A wedding dress is not meant to be hung on a wardrobe always. It is for your wedding day and you need to make sure that it is absolutely gorgeous the day you wear it. 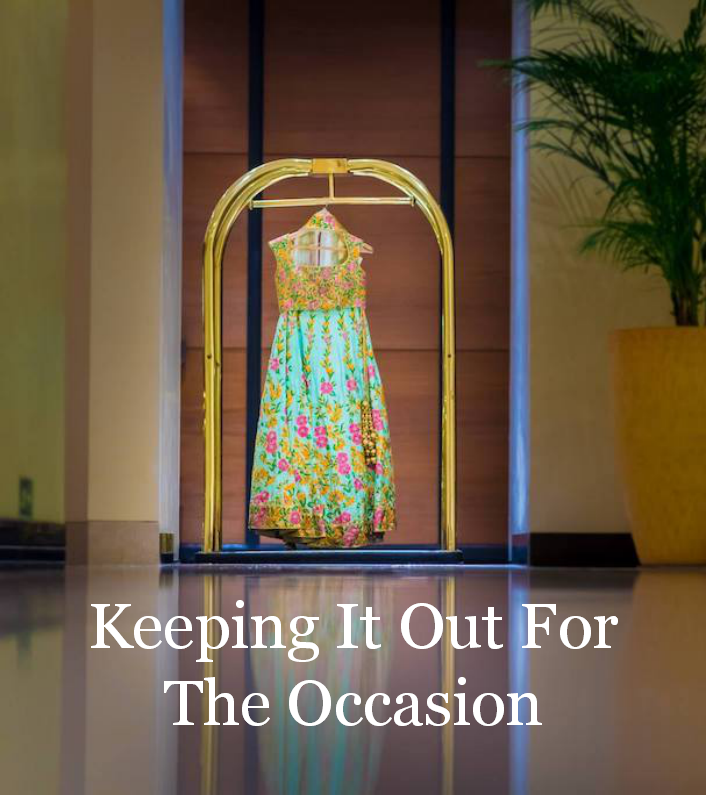 You need to hang the wedding lehenga outside just a few days before the event. This is to make sure that there aren’t any wrinkles present on the dress on the wedding day. You could carefully hang the dress in the bathroom. Straighten out the creases before you do so because they will be visible if you don’t. The same thing goes for the dupattas and the cholis as well. Just because the wedding is over doesn’t mean that you just dump your wedding dress. After all, you got your happy ending and now it is time to give one to your beautiful wedding dress. Visit the nearest wedding dress preservationist and have a chat with them to have your dress properly cleaned and well-maintained. The more you care about the dress, the better it will be. Get all the help and advice that you can get from the professionals. After all, you don’t get a wedding dress every day, right?